I contacted Miss Pigeon Vintage because I had seen some of the things she had made for her little boy’s birthday party. My brief was “I want a sign for my florist’s studio; vintage, a bit quirky and bold so it matches what I do.” From this frankly pathetic brief, she produced exactly what I had in my mind. I was and still am totally thrilled with it, and smile on a daily basis when I see it. Working with Miss Pigeon Vintage has proved very fruitful for us. She’s high quality, organised and, importantly, personable. 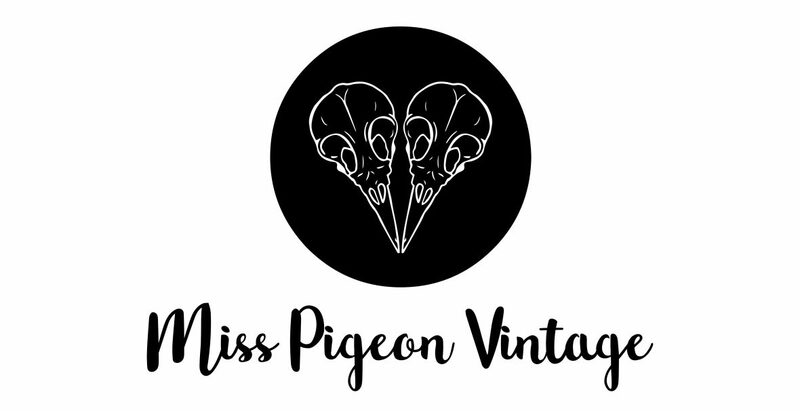 Miss Pigeon Vintage has delivered exceptional events, drawing custom and enhancing our reputation for high quality original events. Miss Pigeon Vintage and I were part of the team that created and ran Meanwhile, a vintage shop in Scunthorpe town centre. Hayley not only has a great eye for picking out vintage gems, but she is also really good with the design aspects of displaying stock in an eye-catching way. I have also sold at An Indie Kinda Christmas, MPV’s annual vintage extravaganza, which always looks beautiful, is full of customers and is guaranteed to be the one thing to kick of the festive excitement. Miss Pigeon Vintage always manages to put a new twist to an old theme, keeping things fresh and exciting. Miss Pigeon Vintage looks after and styles our Box Window, ensuring it’s always attractive, creative and unique. It draws people in increases our trade and provides income from sales.